From left to right: Katelyn Fulford, Morgan Beeler, Savannah Branch, and Dylan Jeffries pictured in the back. All athletes committed to Division II and Division III schools. 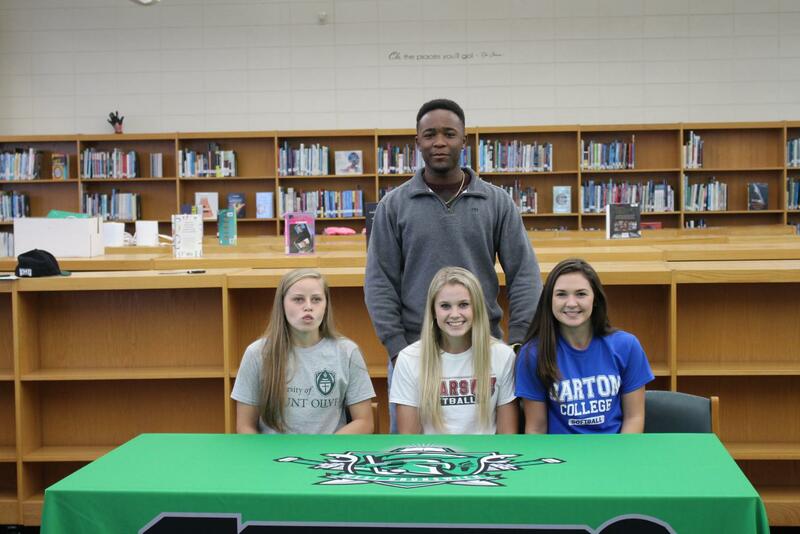 On November 15th, 2018 four West Brunswick High School seniors signed their National Letters of Intent to play softball and baseball at the collegiate level. 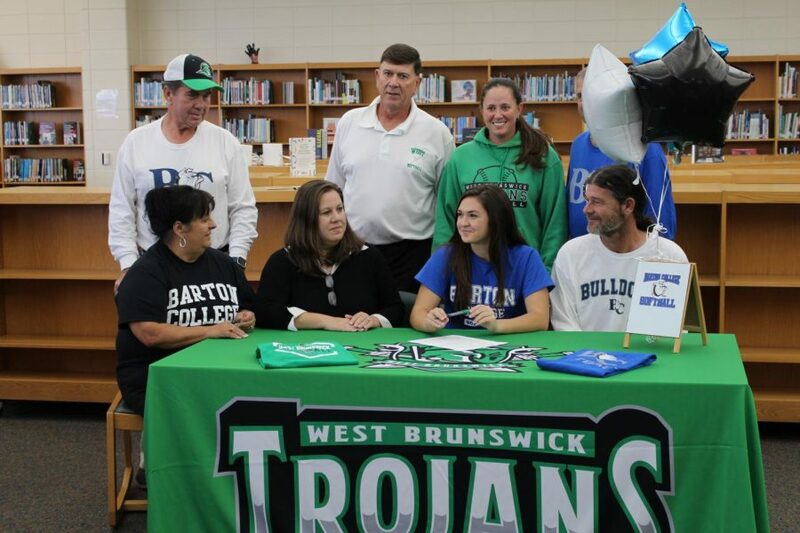 Savannah Branch signed with the Barton College Bulldogs. Branch will play softball and attend school to pursue a medical career. Morgan Beeler committed to play softball at Lenoir Rhyne University where she will be a Bear. Both Katelyn Fulford and Dylan Jefferies signed their National Letters of Intent to the University of Mount Olive where they will be Trojans for four more years. Congratulations to the class of 2019 Softball and Baseball signees. Savannah Branch smiles with family members as she prepares to sign her National Letter of Intent.